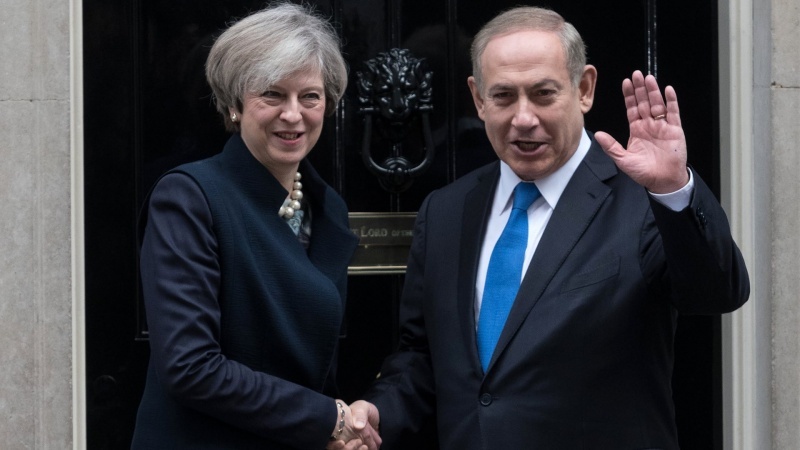 IranPress/Europe: Addressing a dinner held by the United Jewish Israel Appeal, which works to build links between British Jews and Israel, May said she was “sickened” by the idea that some Jews had doubt whether Britain was a safe place to raise their children reported Presstv . "I have come here tonight as prime minister of our country to say that I stand with you,” she told the crowd Monday night." I stand with the UJIA. I stand with Israel as the homeland of the Jewish people. And I stand with the entire Jewish community in Britain." “If we are to stand up for the values that we share - then one of the things we need to do is give young Jewish people the confidence to be proud of their identity – as British, Jewish and Zionist too,” May said. As the main US ally, Britain has always followed American policies which is directed against the Palestinians, and it is called "Deal of the century". 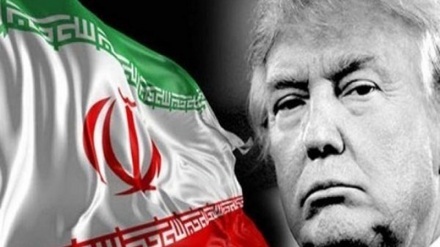 As a matter of fact, The "deal of the century" is an American and Israeli plan coordinated with Saudi Arabia that Trump is trying to achieve in his presidential course. In this plan Trump has invented a capital for Palestine in a suburb of Al-Quds. He will introduce a security concept for Israel and Palestine as two peace partners which consist of Palestine as an unarmed country with special police and security and regional cooperation with the presence of Jordan, Egypt and US. The security concept means the presence of Zionist forces alongside the Jordan River and Jebal-alvasat (جبال الوسط) from vest bank to protect both sides, but in extraordinary situations, Zionists are at the helm of increasing security measures. 'In order to impose 'deal of the century', the US government has exerted all kinds of pressures against our people,' Hamas Spokesman Hazim Qassim said in a statement on Sep 9, 2018, according to a report by the Arabic section of Turkey's Anadolu news agency. 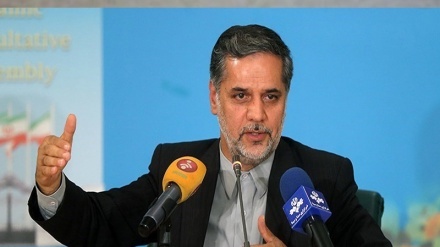 Earlier on 23 July 2018, the Leader of the Islamic Revolution stated,Turning Palestine into a ‘Jewish nation-state’ known as deal of the century is a turbulent dream that will never come true. 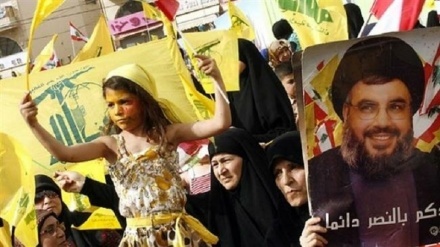 "Now, the Americans have named their satanic policy on Palestine as the deal of the century and with God's help, this deal of the century will never be materialized and despite the American statesmen's desire, the Palestinian issue will not be forgotten and Quds will remain as the Palestinians' capital," Ayatollah Khamenei said, addressing officials of the Hajj and Pilgrimage Organization in Tehran. 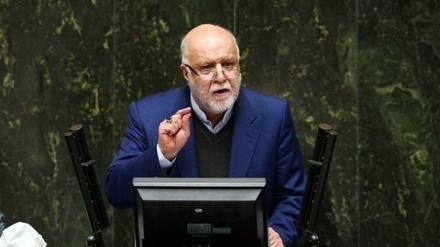 He blasted certain Muslim governments for assisting Washington in implementing its plots against the region, and said, "The Islamic Ummah and the Palestinian nation will gain victory against their enemies and will see the day when the fake Zionist regime will be uprooted in the Palestinian territories." 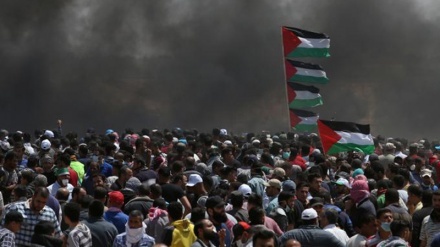 Although, Trump administration is set to deny millions of Palestinian refugees' their "right of return" to the Israeli occupied territories, the Palestinians voiced their anger through holding Great march of return since March 30, 2018. 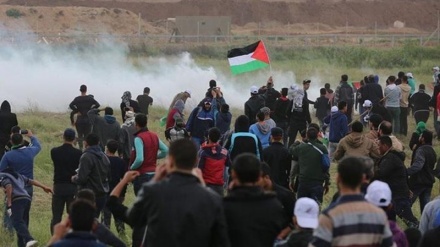 Since then rallies, protests and demonstrations were held every Friday in five separate locations in the eastern Gaza Strip. "The deal of century" or "the right of return"